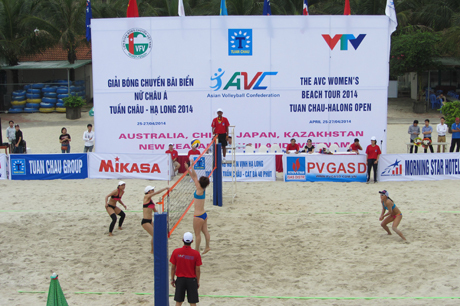 HA NOI (VNS) — Eighteen teams will participate in the AVC Women's Beach Tour 2015 Tuan Chau-Ha Long Open in the northern Quang Ninh Province, the Viet Nam Volleyball Federation said. The teams include Australia, New Zealand, Japan and China, besides Thailand, Hong Kong and Kazakhstan. The tournament will begin on April 30 and end on May 3.